The Falcons baseball team celebrating their 14-0 shutout against the Long Beach City College Vikings. 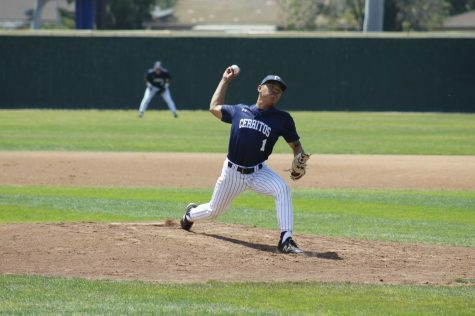 The Cerritos College baseball team won in a 14-0 shutout against the Long Beach City College Vikings closing out the series 2-1. The Falcons have obtained a share of the South Coast Conference South Division Title. This is the first conference title since the 2014 regular season for the Falcons. The Falcons are now 28-10 overall in the season and lead the South Coast South Conference 14-7 with only two conference games left to play. 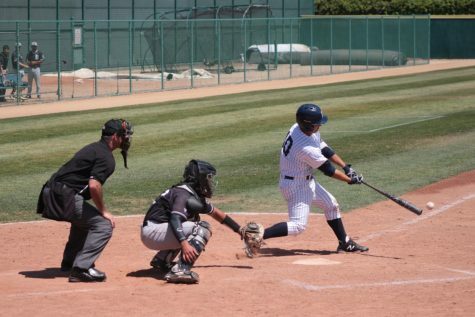 It was the bottom of the fifth inning, the bases were loaded with runners as sophomore shortstop Ramon Bramasco stepped up to bat and with a swing at the fast ball by the Viking pitcher, Bramasco sent a grand slam to the left and out of Kincaid Field. Bramasco’s grand slam capped off the lead at 14-0 and thus would be the last inning the Falcons scored. The grand slam was the cream of the crop, but before the fifth inning the Falcons were active in the second and third inning. 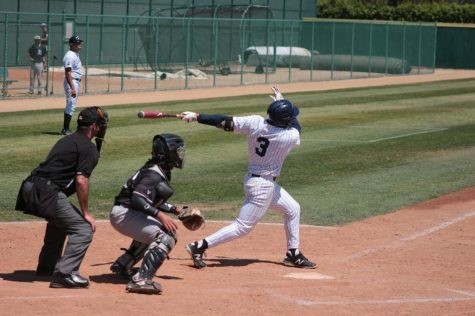 In the second inning alone, Cerritos scored five runs with the help of freshmen LF; Gabriel Gonzalez and 1B; Michael Gonzalez and sophomores CF; Nick Penzetta, DH; Jakob Gonzalez, 3B; Jorge Rodriguez along with three LBCC errors assisting in gaining the 5-0 lead into the third inning. The third inning stacked another five runs Penzetta and Rodriguez hitting singles at the start, followed by a huge homer to left field by sophomore right fielder Rollie Nichols. With the home run blasting out of Kincaid field the Falcons had a blanketed 10-0 lead for the rest of the game until the grand slam in the fifth. 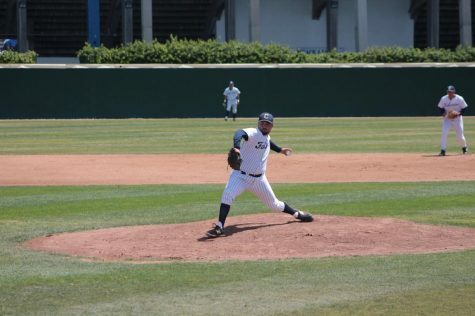 The Vikings were left unable to score in the game’s entirety with sophomore pitcher Vincent Fuentes pitching eight innings, he helped refrain LBCC from scoring. 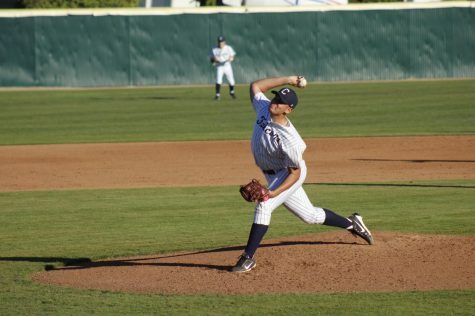 Fuentes gave away only eight hits and had nine strikeouts and improved to 4-1 in the season. Head Coach Ken Gaylord was really proud of his team saying they played a great outing. He gave praise to the team saying the pitching and defense was real good and that they swung the bats well. 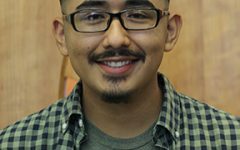 “They’ve been through a lot and they finished it,” Gaylord said. 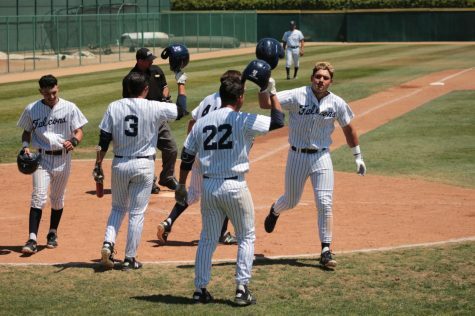 “We didn’t play bad, our guys have been doing a great job all year and they beat us by one run, but I mean that’s baseball it’s really hard to sweep,” said Gaylord referring to the loss against Long Beach City College on April 19. “I don’t feel like I had good AB’s up there, but that’s why I got teammates to pick me up. “They came in and swung the bat really good and I just had one good hit,” said Bramasco referring to his performance against the Vikings. When Bramasco was up at bat before he hit the grand slam all he was focused on was getting the ball in the air. “We had a big lead and I just wanted to add onto it,” Bramasco said. Bramasco hopes the team can stay focused going into the playoffs saying they have a bigger goal in mind this year. Bramasco was at bat six times, had one hit and four RBI’s. Nichols was at bat four times, had three hits and three RBI’s. “Hitting’s contagious, when we’re all hitting it’s easy to go up there with a lot of confidence and everything clicked today,” said Nichols referring to the team’s overall performance. He had his third home run of the season and first in the conference. Fuentes described this game as one of his best pitched all of conference. When he’s on the mount, he described his mindset as “it’s just me and my catcher.” Fuentes forgets about the batter and just focuses on getting the ball to hit the glove. 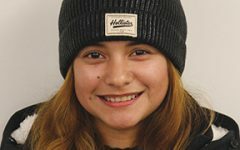 “Pitching eight innings is tough, but you gotta grind it out,” Fuentes said. J. Gonzalez thought he performed well and says the team did a great job of being aggressive on the fast balls, which helped lead to the quick lead. “We put pressure on them so that’s what allowed us to get our swings at bat,” J. Gonzalez said. J. Gonzalez finished the game at bat three times, had two hits and two RBI’s. Following the win against Long Beach City College, the Falcons most recently played Chaffey College on April 24 and came out with a win, 2-1. 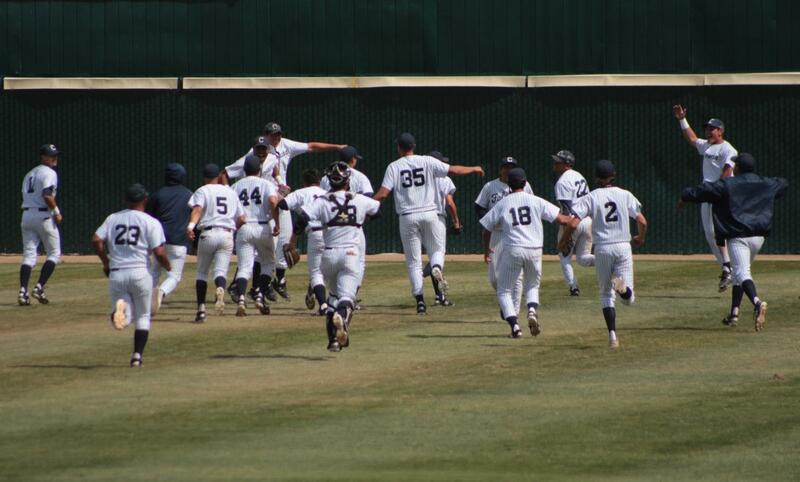 The Falcons baseball team are closing out the season with their final conference matchup at Chaffey College on April 26.